At Google we care deeply about connecting people to the information and services they care about. Better connectivity is at the center of this, and we know that many people wish they had better Wi-Fi coverage in their home. That’s why we created Google Wifi, a new system that replaces your router to provide fast Wi-Fi for every corner of your home, on all your devices. 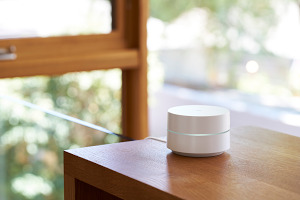 Google Wifi works differently than a traditional router, using mesh technology. 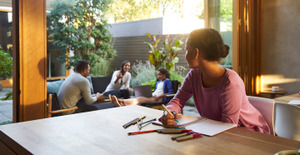 Last week, we wrote about how mesh Wi-Fi is the best way to provide whole home coverage and as mesh is becoming increasingly popular, there are a few other companies offering home mesh solutions. To see how we stack up, we recently asked Allion USA, a third party testing company, to put Google Wifi head-to-head with other mesh systems: Eero® and Luma®. Allion connected two units from each system in a 3,000 square foot, two story home and tested Wi-Fi speeds at four different locations. The graphic below shows the speeds (in Mbps) they measured at each of those locations. Google Wifi came out on top, with the fastest Wi-Fi across the whole home. Google Wifi is 75% faster than Eero in the living room, and more than twice as fast as Luma at the same location. When you’re sitting down with your family to stream the latest Hollywood blockbuster in 4K, that speed difference matters! And when you want to kick back and game in the upstairs bedroom, Google Wifi is 23 Mbps faster than Luma, and five times faster (185 Mbps) than Eero. Google Wifi is able to outperform other mesh routers because we built it from the ground up to provide fast Wi-Fi in every room. Each Google Wifi point packs high-gain antennas along with powerful amplifiers that make the signal stronger and farther-reaching. Each point’s quad core network processor, fast packet forwarding engine, and dual gigabit Ethernet ports help the network keep up with all your needs. Each point delivers AC1200 802.11ac performance in a device that looks nice enough to keep out in the open, where Wi-Fi works its best. Dual-band dual-concurrent radios are compatible with all your Wi-Fi devices, and Google’s Network Assist software takes care of managing complex settings in the background, so you can sit back and enjoy the Wi-Fi. Simply put, not all Wi-Fi systems are created equal. 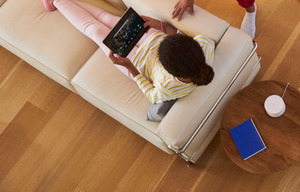 We’re confident that Google Wifi can deliver better, faster Wi-Fi to your home, no matter what its shape or size. And since we care so much about ensuring you get the best coverage, Allion will continue to test Google Wifi against other mesh products over the coming weeks. 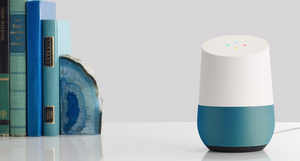 Google Wifi is currently available for pre-order online at retailers like the Google Store. Happy surfing and streaming! Test performed by Allion USA with an Apple MacBook Air. Individual results may vary depending on home layout, construction, network client, and interference. MacBook Air is a registered trademark of Apple, Inc. Eero is a registered trademark of Eero, Inc. Luma is a registered trademark of Luma, Inc.